Thuthukani Consulting Engineers teamed up with Fermel to design and manufacture the electric traction system for Fermel’s new 25 ton electric hauler. The development of the system has led to breakthroughs in battery management and electric drive technology, and most importantly, in zero emissions mining technology. One of the biggest trends being seen currently in the mining industry is mechanisation. Several prominent mining operators have pointed out that in order to stay viable in the decades to come, local mines will have to put modern mechanisation at the forefront to ensure longevity, safety and productivity. In developing a new 25 ton electric hauler vehicle with applications in soft and hard rock mining, Fermel tasked Thuthukani with the design and development of the hauler’s electrical traction system. The two companies have previously collaborated on the production of a fully battery-operated personnel transporter. Thuthukani was responsible for designing the electrical traction system for the unit including all auxiliary systems, the battery storage system, electrical propulsion including traction control and torque vectoring, the cooling system, electrical management and the distribution system. They also had to devise a cost effective means of high speed charging for the on-board battery system and ensure that their designs could integrate the multi-wheel control system to the Fermel operating system. The first working prototype is set for implementation in 2017. 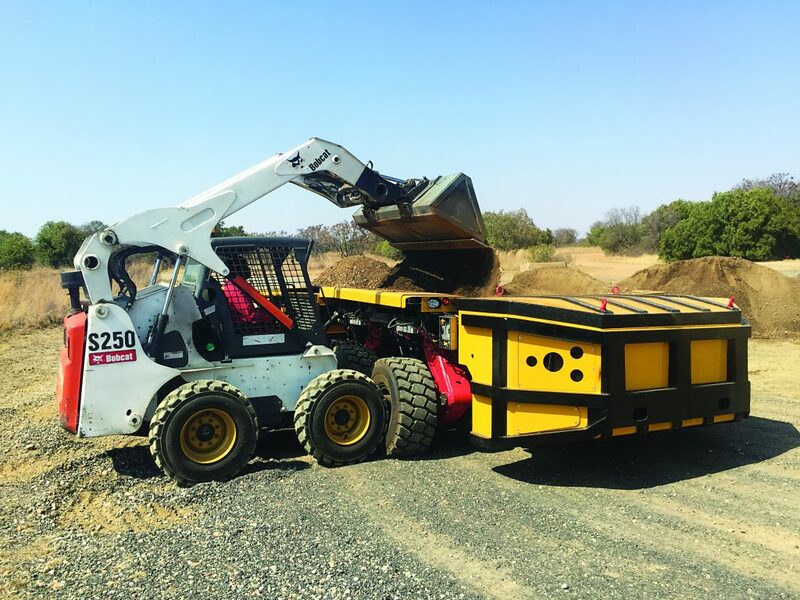 “One example of the reasons contributing to a slower rate of mechanisation in South African mines is the fact that some mining equipment imported from overseas have rubber tyres and rubber tyre equipment that can only operate up to maximum angles of 11 degrees. This opens the door for local manufacturers to leverage their knowledge and understanding of the South African mining environment and create products that answer its unique needs,” Calvin Coetzee, Electronic System Engineer at Thuthukani, points out. Other advantages include the fact that because battery electric based mining machines emit less heat during operation, approximately 30% – 50% less ventilation is needed in order to cool the equivalent battery based machines. This means that they can operate in warmer environments than diesel systems. Removing the diesel component also means that there are no toxic emissions during normal operation.